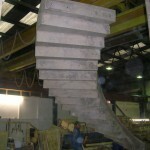 Mexboro Concrete has over fifty years experience in the production of high quality precast concrete staircase components and systems. 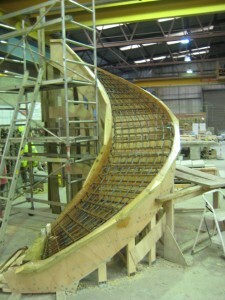 Mexboro’s purpose built factory with its fully computerized mixing, mould making, steel assembly, finishing and quality control departments produces solid stair flights, individual step and riser units and also specialised stair systems such as spirals. 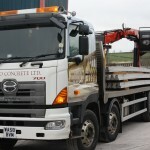 Mexboro’s experienced management team offers a comprehensive design and delivery service. 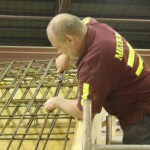 The Mexboro system combines ease of construction, economical costs and a high quality finish. 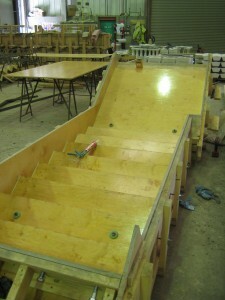 Mexboro’s variable geometry electronic staircase mould (manufactured in Germany by www.howall.com) provides a huge variety of different risers and goings enabling the manufacture of virtually all stairs. 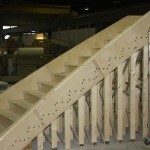 The use of this adjustable stair case mould means that the cost of mould and form work is kept to an absolute minimum. 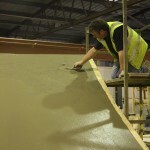 Please go to www.planningportal.gov.uk/buildingregulations for the latest UK Regulations and guidance. 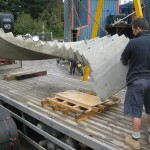 Economic Cost No need for costly shuttering, concrete placing, propping and finishing on site. 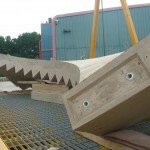 In most cases inexpensive beam and block landings can be used which also reduces the need for cranes. 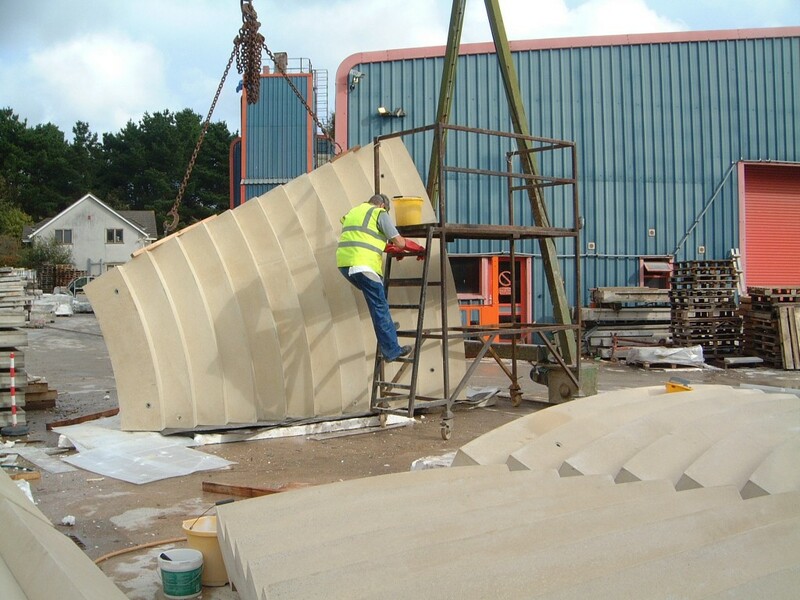 Versatility If a standard stair system cannot be used Mexboro will produce a precast alternative to suit the client’s individual requirements. 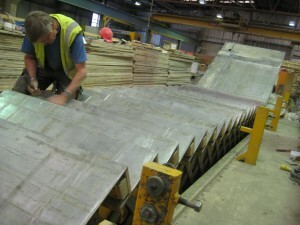 Steel beams or precast landings can be built in as the work progresses, with flights installed on a floor by floor basis, or in one final operation to save on crane time. 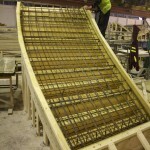 Landings can be wide span plank floor, beam and block or solid precast concrete. 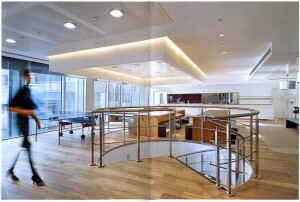 A variety of textures and finishes are available including: wet cast, acid etch, exposed aggregate and polishing to simulate marble. Slip resistant inserts are also available. 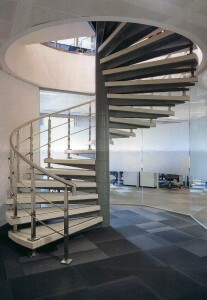 Please contact Mexboro to find out more about our standard stairflights. 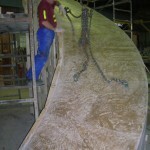 If none are suitable we are able to produce a bespoke stairflight to suit your requirements. 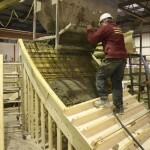 The required and approved dimensions for stairs as set out in ‘Document K’ are as follows, but please always check that you have the most up to date guidance and use the link below for more detailed information on the latest UK Building regulations. 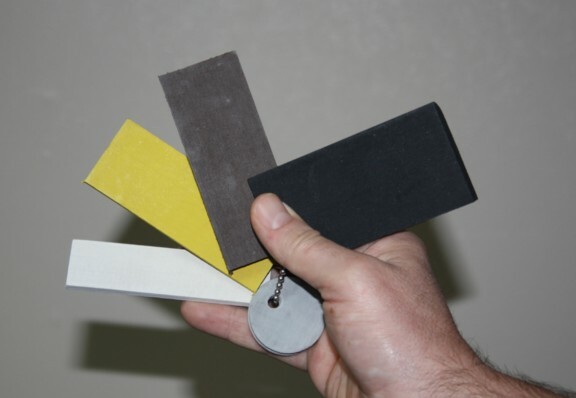 We strongly recommend that the client checks the usage of any of the above steps with building control for their particular application, prior to ordering. 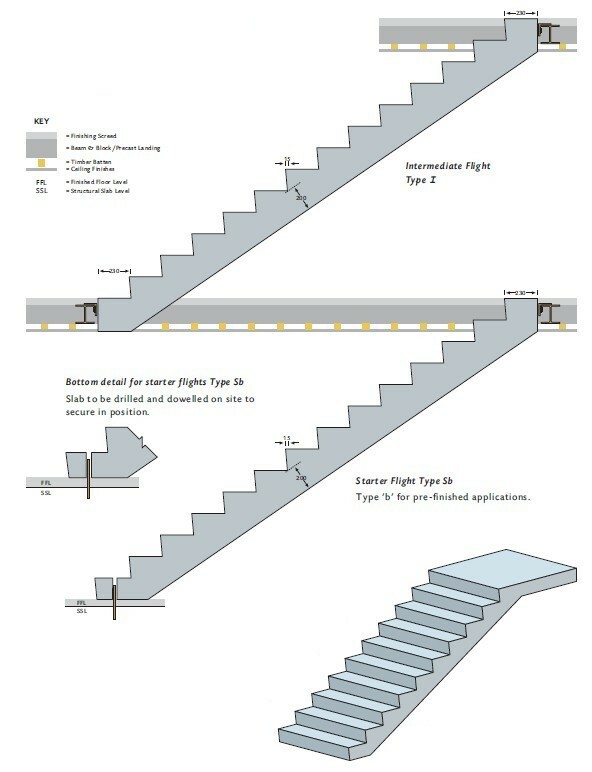 Height of Handrails Document K states that flights should have a handrail on at least one side if they are less than one metre wide and on both sides if they are wider than one metre. 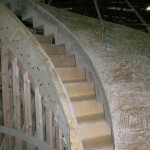 There is no need for handrails beside the bottom two steps of a stairway. 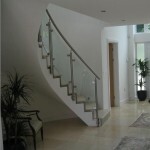 Minimum domestic handrail heights of 900mm for both stairs and landings, public handrail heights should be a minimum of 900mm on stairs and 1100mmm on landings.